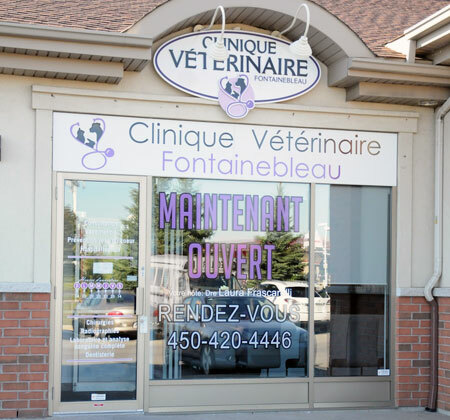 The Fontainebleau Veterinary Clinic is the first medical centre destined to animals in this Blainville district. This new structure, opened since April 2013, allows the inhabitants of the city and its surroundings to not have to travel kilometres in order to treat their family pets. Especially in case of emergency, the animals will be able to be taken care of rapidly. The veterinary clinic is a medical centre gathering in one place the services in the care dedicated to animals. 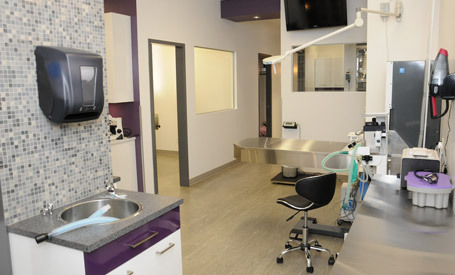 The clinic has a surgical service, for routine surgeries or for more specialized ones. 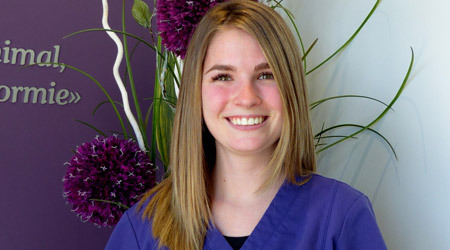 The dentistry is also present in order to give all the necessary dental care. The clinic has on the premises the diagnostic tools necessary for a thorough medical analysis. The veterinary clinic’s calling is to welcome family pets and accompany them, along with their guardians, during the course of their lives. First of all for consultations, for vaccinations and for a continuous medical follow-up. Within the clinic, the veterinary surgeon gives standard medical attention, but also advises and reassures the owners regarding the needs of their animals. Food, de-worming, heartworm blood test and lyme, it is at the veterinary clinic that the animal owners will find all the products needed for their four-legged companions, cats, dogs and small rodents. The Fontainebleau region is a haven of peace for dogs and their guardians. Favorable to long walks, the place has many green spaces at its disposal and takes advantage of the proximity to the famous Fontainebleau and Lorraine golf courses. The Fontainebleau park is a family place for walking. The four-legged companions make the most of this space of greenery and cleared paths to find the joys of nature. It is in the midst of all this beauty that the Fontainebleau Veterinary Clinic decided to settle. Before or after a consultation, the dogs will be able to relax while taking a nice walk in the woods. The Fontainebleau Veterinary Clinic brings serenity and trust to the dog owners. You will know from now on where to go for the well-being of your companion and you will be warmly welcomed while your animal’s needs will be met. 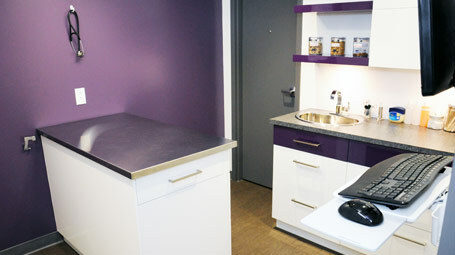 The Fontainebleau Veterinary Clinic is easily accessible. It is situated 200 meters from exit 24 of autoroute 640 West and is visible as you take the exit. Do not hesitate to take an appointment for a first consultation and to meet the medical staff. 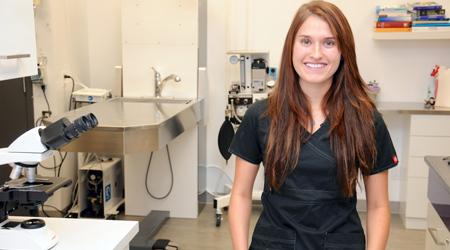 Dr Laura Frascarelli is a young veterinarian, today owner of the Fontainebleau Veterinary Clinic in Québec. 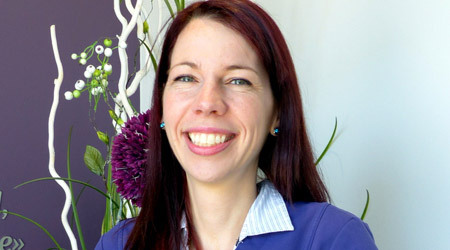 Catherine Bolullo is a veterinarian at the Fontainebleau Veterinary Clinic. 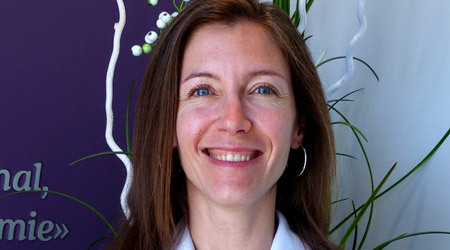 Valerie Lamothe is a veterinarian at the Fontainebleau Veterinary Clinic. Julie Cassidy is a general animal health technician at the Fontainebleau Veterinary Clinic and she sees to the consultations and surgeries. 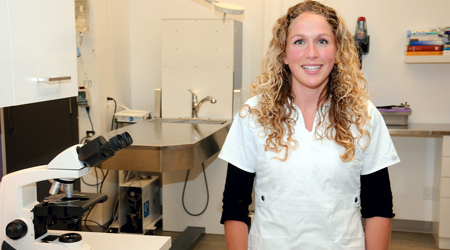 Véronique Hamelin is an Animal Health Technician at the Fontainebleau Veterinary Clinic. 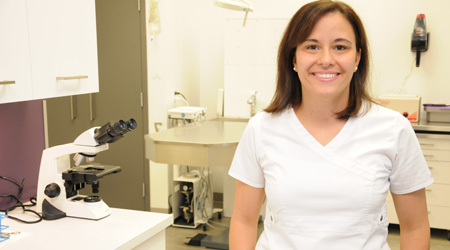 Caroline Valois is an Animal Health Technician at the Fontainebleau Veterinary Clinic. 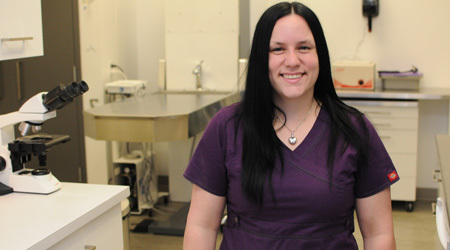 Annie Martin is an Animal Health Technician at the Fontainebleau Veterinary Clinic. 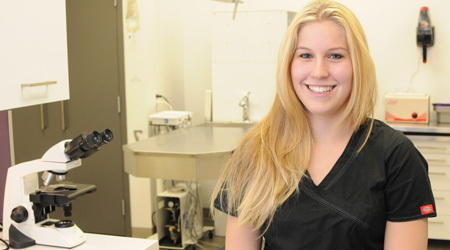 Catherine Fournier is an Animal Health Technician at the Fontainebleau Veterinary Clinic. 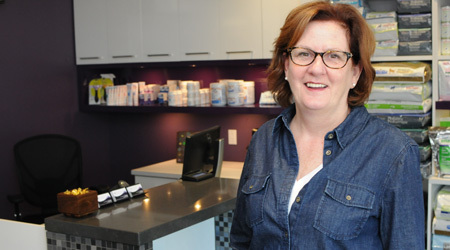 Diane Frascarelli is a Receptionist at the Fontainebleau Veterinary Clinic. 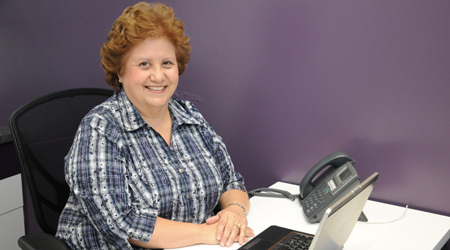 Joanne Frascarelli is an Accountant and Fridge Manager at the Fontainebleau Veterinary Clinic.